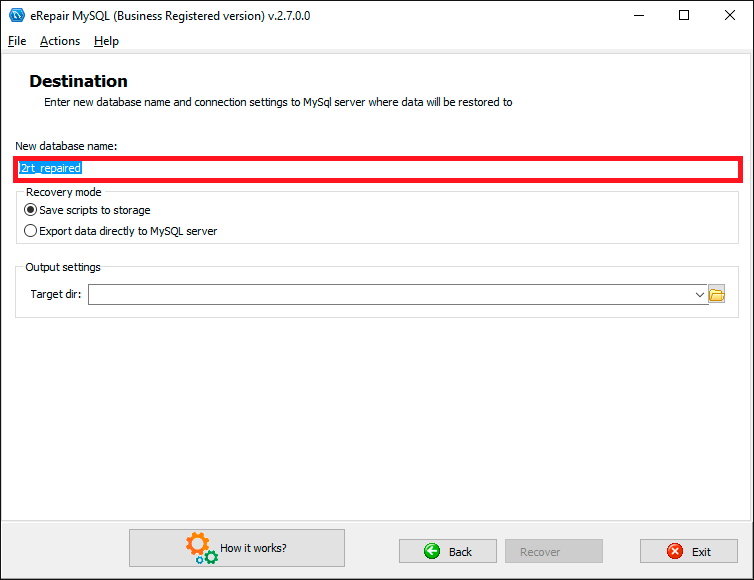 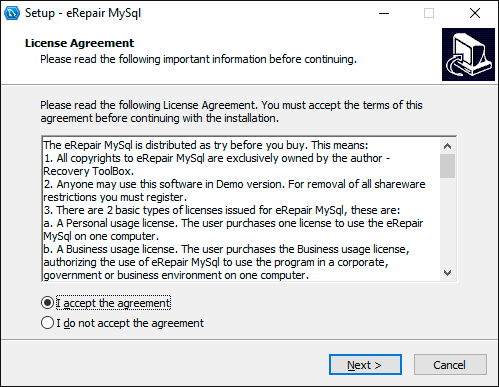 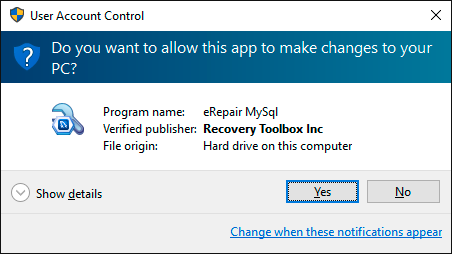 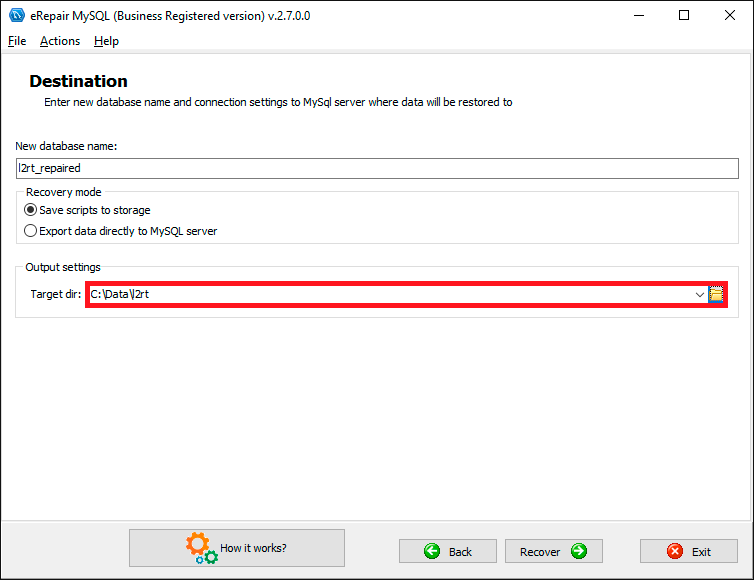 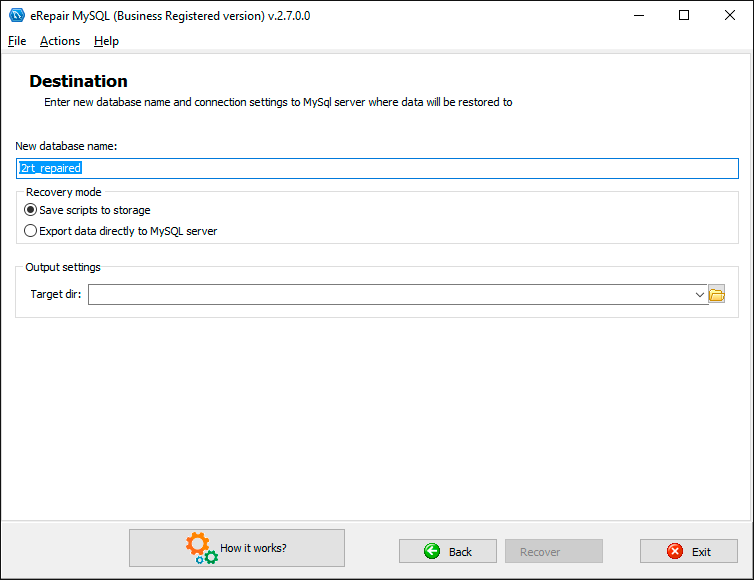 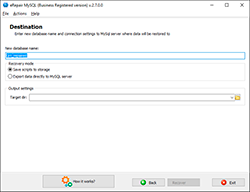 The Recovery MySQL Tool is distributed under the "Try before Buy" License. You should try to repair a corrupted MySQL database before purchase. 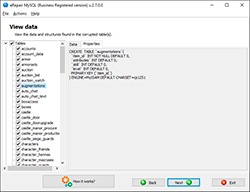 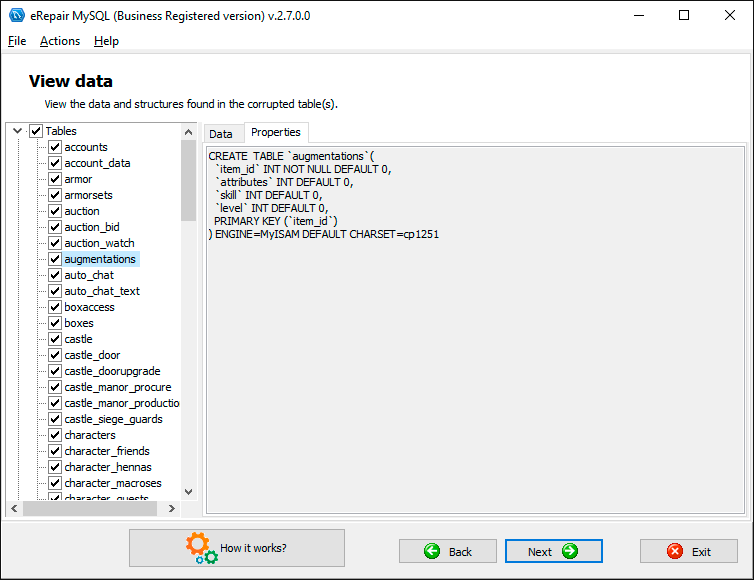 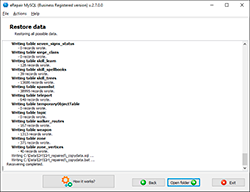 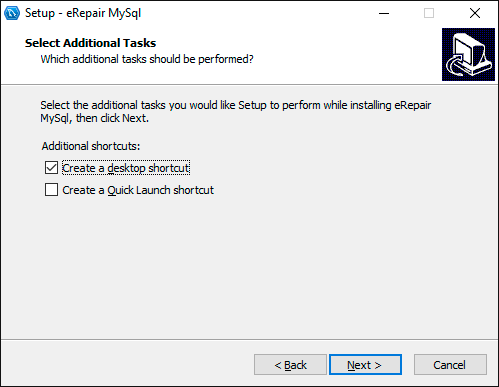 On the second page in the DEMO version of the MySQL repair tool you can preview all tables, data, objects and scripts available for saving. 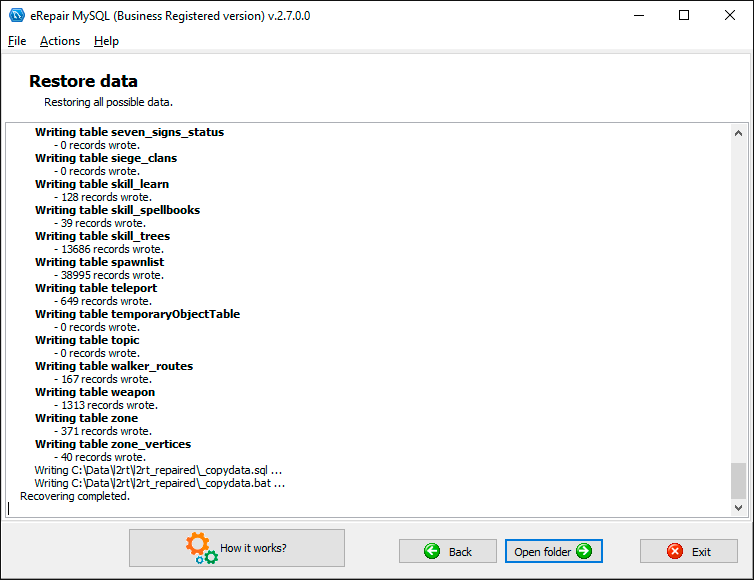 Open table failed: Can't open file: '× × ×. 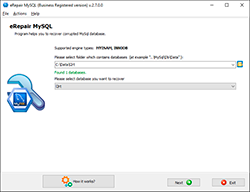 MYI' (errno: 145). 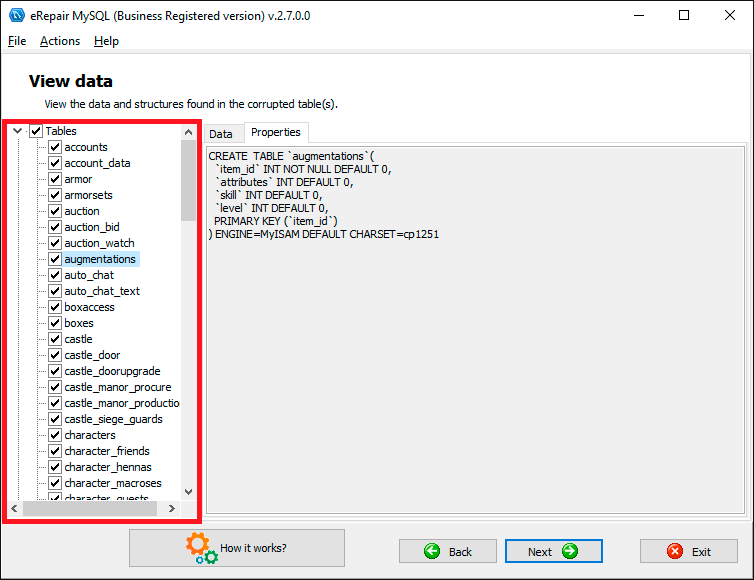 The query cannot be found in the table rows or return incomplete data. 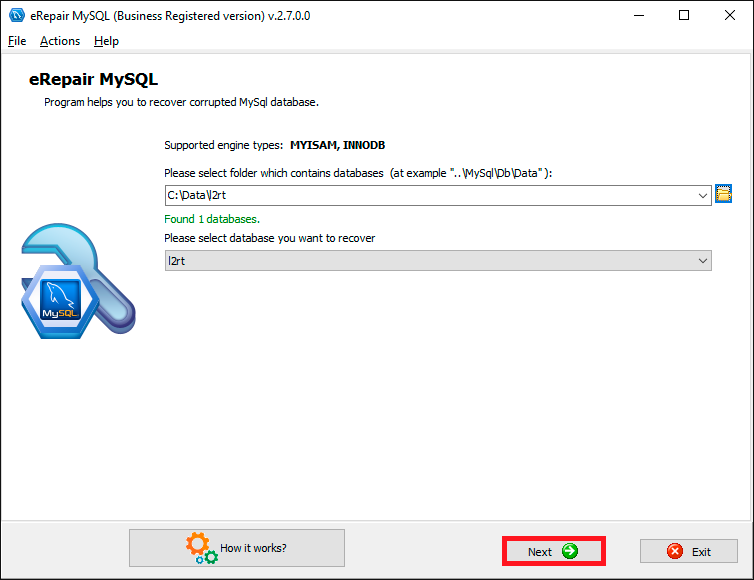 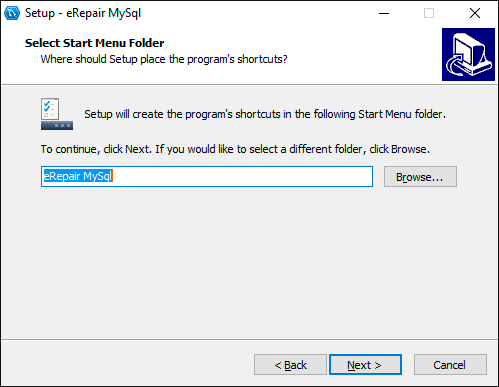 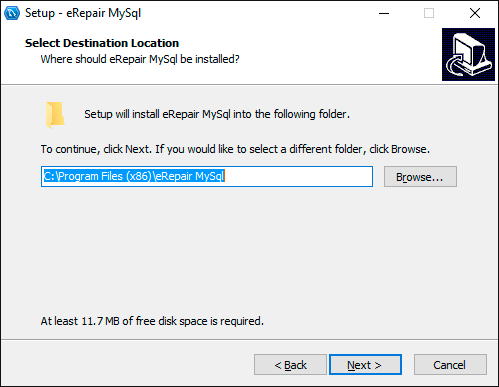 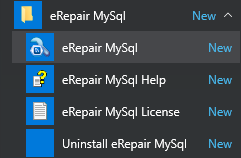 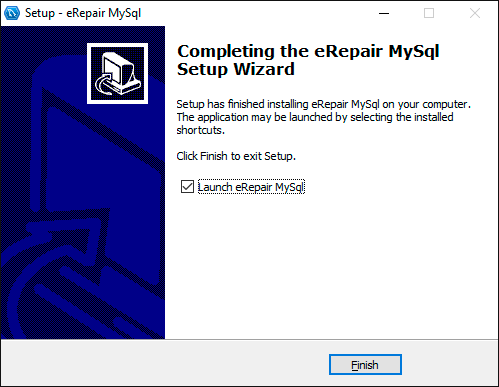 How to repair damaged MySQL database: eRepair MySQL helps to fix corrupted InnoDB and MyISAM databases in few clicks.